You can download the invoice again from Flipkart. Sir, Order confirmation email is no given to me from flipkart, so can i send invoice copy to your email address? 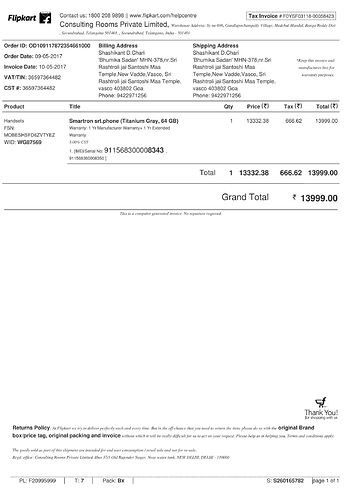 @A11shashi @Nikhil21 Yes, you can send invoice copy in case you have any issues with order confirmation mail. Will the Limited edition #srt covers be available for purchase in the #tstore ? Sir, Order confirmation email is no given to me from flipkart, so i send invoice copy to your email address. I'm very happy, today i have received srt sachin's backcover. 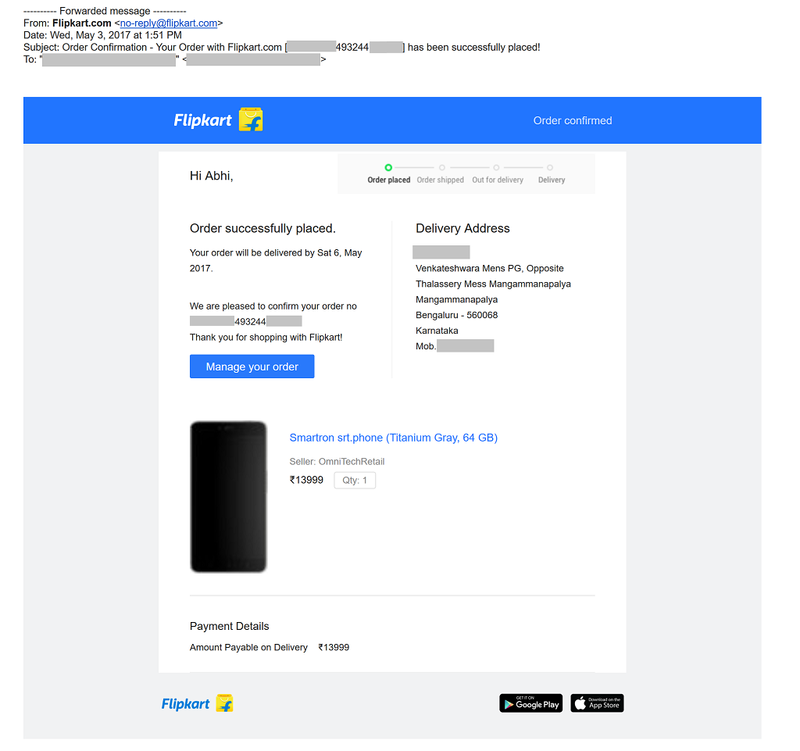 Hi, I have forwarded the mail from Flipkart on the given email address. 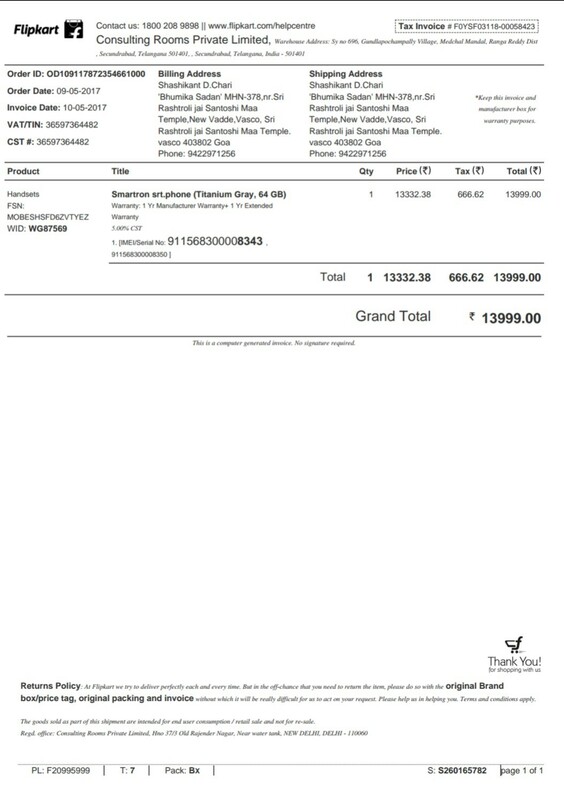 Kindly confirm receipt of email and also kindly process the delivery of back cover an extended warranty for my srt.phone. Thanks. 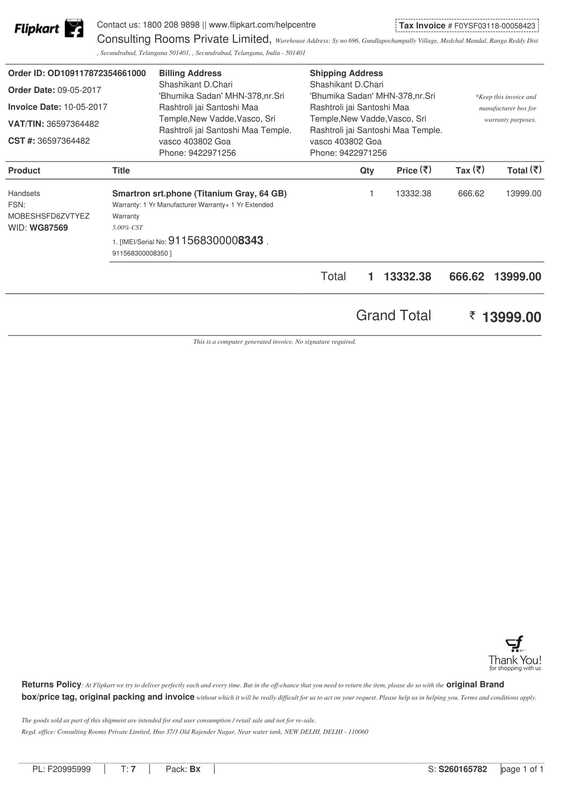 Sir, i have received srt phone backcover, but not received extended warranty.